Quality assurance is the most effective protection against “surprises” that nobody likes. 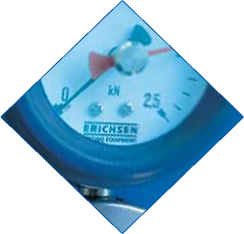 ERICHSEN develops for almost 100 years test and measuring instruments indispensable for surface inspection and therefore is closely connected to this industrial sector. While 20 years ago users/producers were seemingly free to assess significant properties on the basis of simple judgement based on experience, today the overwhelming majority is interested in clear and controlled processes. Whereas this was generally applied for a long time already for processes in the industrially automated coating technology and production engineering for a long time already, today more and more smaller companies are specifically involved in the topic ‘quality management’. This regards sub-contractors for the automotive industries as well as manufacturers of articles of daily use in general – independently of the size of the company. Thus, today, besides the clearly defined processes / operation sequences, also the necessity of testing has got an increasing importance compared with the situation some years ago. 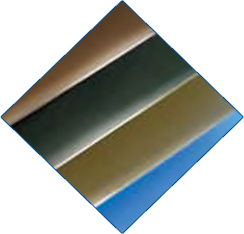 To the traditional measured parameters in coating technology, namely “film thickness”, “adhesion” and “gloss”, the testing of the resistance of the coated surface to mechanical damage, namely the measurement of scratch or graze resistance and abrasion resistance have become essential for many applications. Since test methods and test equipment development has kept pace with the demand for higher levels of quality assurance, various possibilities tailored to suit the need of interested users are available to enable the customers to comply with the test requirements of nearly every product. 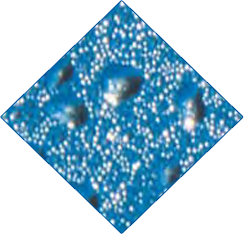 Coaters in the high-quality field, whether in the automotive industry or in any other quality-relevant sector of the coating technology, are long aware: A reasonable quality management can only be successful, if they are extensively informed and up to date concerning the current test methods and relevant topics. A made up list of parameters that it might be possible to test would not necessarily coincide with a list of the parameters that it would be sensible to test. Erichsen therefore concentrate on the provision of test equipment for the surfaces of high quality products on the basis of a sensible and logical selection from these parameters. 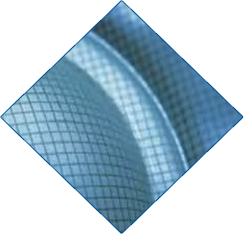 By working in partnership with users and research establishments as well as in cooperation with standards committees over a period of many years we have developed a range of test instruments to measure the quality-relevant properties of a great variety of products with the needed precision and ease of operation.